We are just a few hours away from the Xiaomi Mi Max 3 launch event. The event is planned to be held in China with all its grandeur. Most technology companies have a tradition of keeping its fans waiting for the final launch event before releasing model specifications. 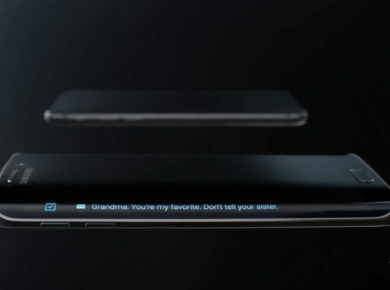 Xiaomi, however, has a trend of teasing aspirers by hinting out specifications beforehand. This time around Xiaomi’s co-founder Lin Bin could not keep from spoiling the surprise. In his recent tweets over the last two dates, Lin Bin first released all the official renders and later gave out all the detailed specifications. Moreover, Xiaomi also hinted about the price in its official teaser according to which the price can be anywhere between CNY 1,099 and CNY 1,999. 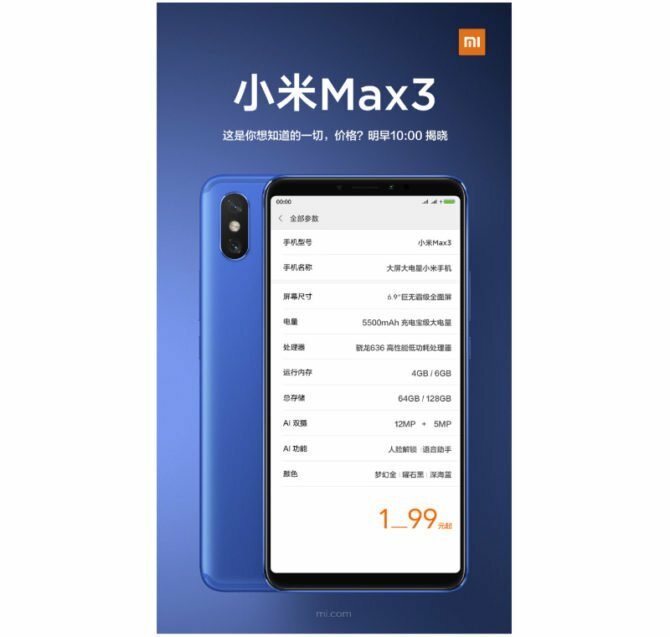 The Xiaomi Mi Max 3 will feature a slightly larger 6.9-inch display panel with 18:9 aspect ratio. 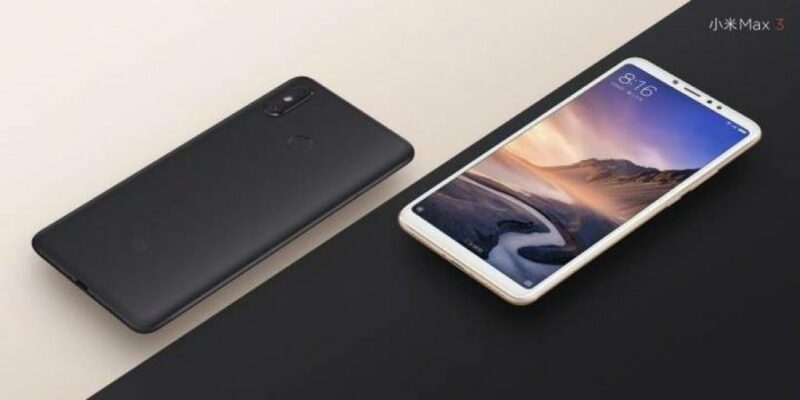 The phone will also feature a 5,500 mAh battery that supports Quick Charge 3.0. Furthermore, the phone is equipped with a dual back camera with a primary 12 MP sensor and a secondary 5 MP sensor. It is powered by a Snapdragon 636 SoC processor. 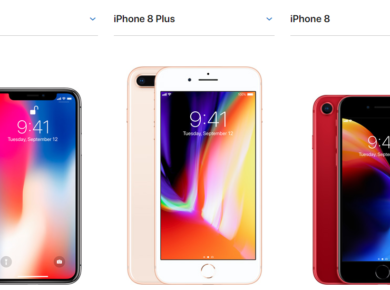 4GB RAM/64GB storage and 6GB RAM/128GB storage versions are available for buying. 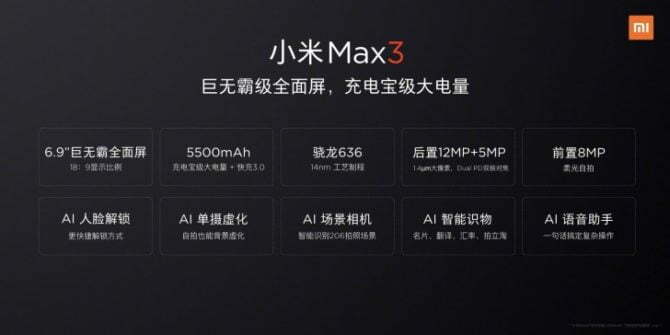 Moreover, the phone carries an 8 MP front camera backed by the company’s AI support! The company will be using its AI technology for Face Unlock, Bokeh effect for selfies, and an AI-powered digital Assistant! The post also shows that the smartphone will be released in beautiful gold, black and blue colors. We do not know when the phone will start shipping and hope it hits the market within a few days after release.